Many parents with children with a PDA diagnosis will tell of the challenges firstly getting a diagnosis and then the difficulties in getting support for their children with 80% of local authorities throughout the UK choosing to not accept the diagnosis. Currently it is recognised as an autistic condition by the National Autistic Society and the PDA society do a lot to raise awareness . However, recently I as a parent of a child with the PDA diagnosis was unaware of the complex discussions taking place with researchers and what has been termed PDA lobbyists. After reading some of the points raised I initially became defensive as many parents would given the fight even to get our children an assessment using the appropriate diagnostic tools namely the ADOS and DISCO. The frustrations at NICE guidelines not being followed, the blocking of pathways and for many especially with children with the PDA profile increased risk of family breakdown, due to lack of Support. A fast majority of parents have to self fund assessments to determine the diagnostic criteria their child fits to ensure their needs are met. The diagnosis Aytipical Autism with significant demand Avoidant features is given to aid in ease of acceptance within the NHS. However, even after diagnosis its a battle to get any support. 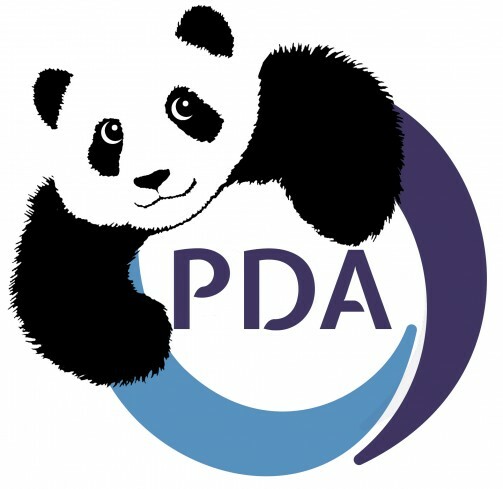 Using the term PDA tends to get a negative response as many professionals are unaware of the complexity of the child’s needs, have not attended workshops or training, therefore do not have the appropriate knowledge base to enable then to correctly identify the support needs of the children, nor of their families. So as can be imagined my initial response was defensive. Then I took a step back as I realised to a certain degree the arguments being put forward had an element of truth, but as to their absolute truth I am not yet convinced. What I did recognise was the importance of good autism theory, research and practise to ensure whatever interventions were put in place would not harm the autistic person. As mentioned I was unaware of the discussions between researchers that were taken place nor how much of a contentious subject PDA as an autistic spectrum condition actually was but gave me an inkling into the possibilities as to why not only getting a diagnosis but support is so difficult. One discussion surrounded the pathological need to avoid. Was the suggestion that the anxiety associated with the condition is relative to Autism as in Anxiety is normally experienced as part of the autistic child/adults experience. Though interestingly the discussion also then linked into trauma, immediately again, like many parents the defensive side came in. As many will know we hear the words trauma and abuse are interchangeably used to blame parents by professionals , those in the community and even as parents automatically presume parental blame. However interestingly this is not what is being suggested trauma can occur during pregnancy from stress, medical interventions, during and after pregnancy/birth, so developmental trauma could be a suggested contributory factor. 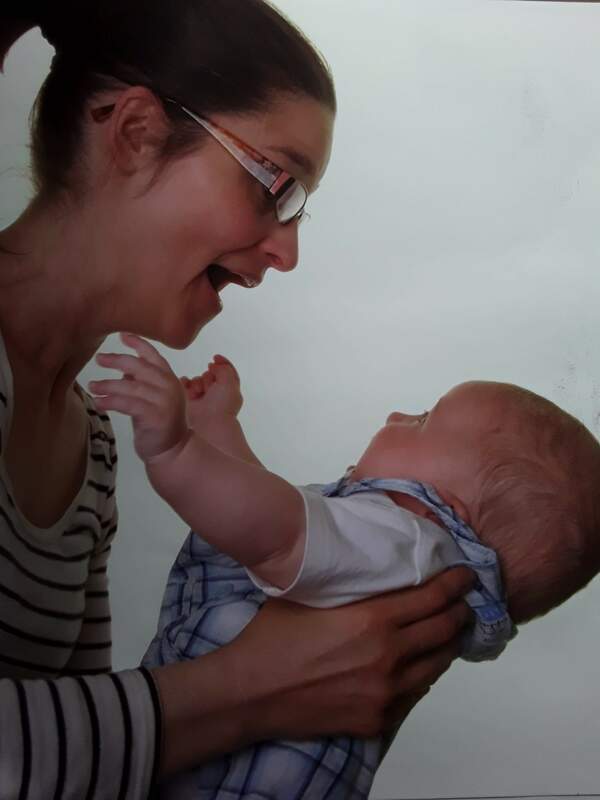 I took a step back and considered my experiences, having to admit stress, medical interventions, traumatic birth were all factors never mind three months in a parenting unit. I reflected also on the many discussions within support groups both virtually and in real time that have taken place between parents discussing pregnancy related issues as they searched for answers to why their child has autism. There are also at this time research and findings being undertaken linking the above scenarios to sensory attachment issues. Simply put the brain becomes rewired during development and shortly after birth in such away that it affects the sensory system. This negatively affects the child’s ability to attach to the parent. Also mentioned briefly was the proposal of Attachment Autism. However I know little about this subject to explore it here. 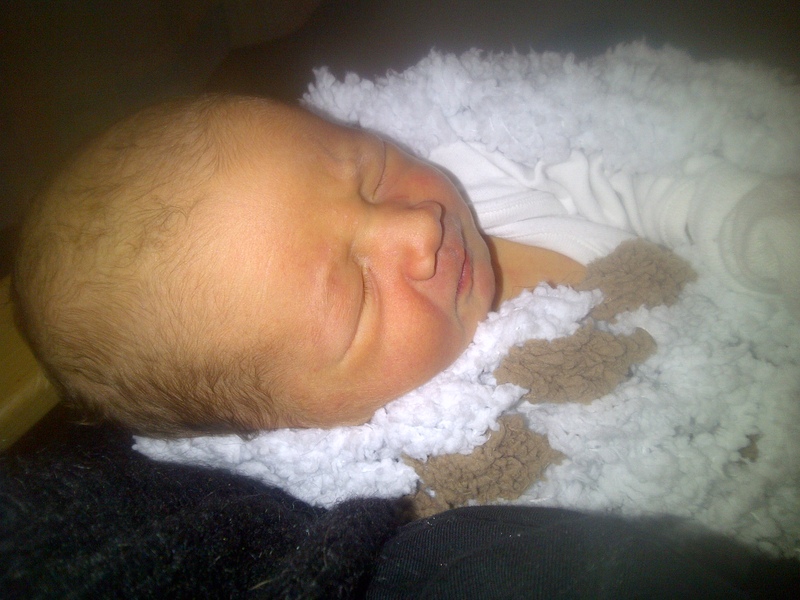 Then another potential trigger for trauma which I could not dispute was linked to educational provision, again I had to admit possible relevance to this given the knowledge of my sons experiences from as early as 7 months old in nursery settings through to special needs provision and how this negatively impacted on him. The many reported cases, research articles all discussing PTSD linked to educational provisions, bullying, aversive coercive therapeutic interventions, the use of restraint, exclusions, focus rooms and how these adversely affect childrens fragile psyche which can be linked to increased school anxiety based avoidance/refusal, increased SEN/VCB and unfortunately suicides. I began to question myself the potential link between anxiety, school refusals and the avoidance of any perceived demand linked to trauma experienced within the formative years such as in communities, educational provisions, developmental trauma even trauma linked to having sensory processing disorder which potentially keeps a children in a constant state of fight and flight. Though at the same time I wondered why are the children with a PDA diagnosis so predispositioned to such high levels of anxiety with an extreme response to anxiety which leads to pathological avoidance of any perceived demands including praise. Is there a possibility the hormones linked to stress are elevated to a much greater degree than others. Then arose the discussion regarding the proposed theory that PDA is form of personality disorder my difficulty with this hypothesis was that firstly it is proposed that to receive a personality disorder diagnosis trauma is a fundamental component. This raised some questions and concerns in that many women on the autistic spectrum are misdiagnosed with personality disorders, often before it is believed personalities fully develop in late adolescents. The reasons for the diagnosis is often childhood trauma however later in life they receive an autism diagnosis whilst being informed their autism was present first with the trauma confusing the issue. My other difficulty with what is being proposed is that this would suggest that in years to come we potentially will have thousands of young adults diagnosed with personality disorders based on the trauma experienced within educational settings alone not taking into account all other potential traumatic triggers. For instance, It’s already recognised that coercive therapies are linked to increased masking which in turn leads to suicidal ideation and suicidal attempts. Which demonstrates how poor autism theory, lack of empirical evidence leads to poor interventions and subsequent harm. Then my next thought is the chicken and egg scenario which came first trauma or autism given even at a basal level trauma can occur within the womb but then what about genetic predisposition. This gives us all an indication as to why good Autism theory, research and practise is so important and necessary with everyone working collectively together to gather comprehensive data and evidence to establish a definitive Autism theory which currently does not exist to ensure that interventions that are implemented will be supportive and not cause harm to the child or young adult. Another issue raised was the ethics in relation to what was termed PDA lobbyists again I personally have not read or come across this literature so cannot fully comment. However, essentially the proposed issue surrounding the ethics of PDA diagnosticians is that tne parent pays for an assessment receives a diagnosis and then is left fighting for support. That those who diagnose PDA centre their business around said diagnosis, and promote PBS which is the ABA Trojan Horse. In some respects one could suggest this is true but as a parent again I reflected. As mentioned already there are many issues with the NHS not recognising PDA, not commissioning assessments for SPD and PDA, that some researchers question the validity of the ADOS and DISCO to identify accurately autistic traits taking into account variables which can affect their accuracy. Often parents are informed their child is not on the autistic spectrum because of apparent sociability, use of imagination and role play. Parental diagnosis can also be used to redirect blame, as can being in a domestic violence relationship. There are many loop holes, potential scape goats and illegal policies used to block diagnostic pathways, assessments and support networks. So theoretically one could suggest that practitioners specialising and diagnosing PDA are utilising a potential niche in the market but in reality is this the case. I personally do not believe so and I would hope this is not the case. Also concerning was the next point raised that these professionals advocate the use of PBS the rebranded format of ABA which some research has linked to PTSD and which many researchers, autistic adults and parents of children which undergone this intervention raise concerns. ABA/ABI/PBS are themselves highly contestable interventions with little empirical evidence to substantiate its effectiveness. Some would suggest that PBS used properly has benefits however the issue is when professionals are not trained to implement PBS, nor monitored adequately. It’s clear, if a child is being flooded, punished and held accountable this is not how PBS is supposed to be implemented and is not considered PBS as originally designed but rather ABA/ABI which are intensive interventions. This discussion highlighted for myself the need to do my own research around this topic and to look deeper than what is suggested by professionals just because they say it is beneficial does not necessarily make it so. Regarding the ethical position of a parent being left to fight for support I could see the potential logic in this scenario, but in reality many parents who have any diagnosis for their child is left fighting a battle for support within a system that is continually failing many children not just those with a PDA profile though admittedly the challenge to acquire appropriate support is increased due to the majority of authorities, NHS dismissing the PDA profile due to it’s not being in the DSM5/10. In reality the current systematic failings, lack of support and diagnostic pathways would need to be thoroughly explored and recommended solutions put into place to minimise the issues relating to the proposed unethical position of diagnosticians. Wouldn’t it be beneficial for all involved the researchers, PDA specialists, diagnosticians, NHS and parents to work together on this. It cannot be presumed its unethical or that parents are left to fight for support after diagnosis when in reality there are so many other factors that contribute to this situation. If a longitudinal study of children were to be carried out is their indeed scope to determine if there is a correlational effect between trauma say within educational settings to the increased extreme response to anxiety with increasing demand avoidance. I am also concerned about the potential negative effect research may incur for Autistic females given the already negative biases that exist. For instance stress hormonal levels which are thought to be naturally elevated in autistic individuals. what if this elevates even further during pregnancy because of stress, medical interventions, ect not dismissing genetic predisposition. Would this be considered a contributory factor in regards to the PDA profile would this lead to assumptions/believes revolving around possible toxic wombs syndrome. I hope not. Ultimately How would this impact on autistic women. Good Autism Theory is about minimising harm to the autistic community. The potential for abuse from proffessional bodies regarding this is highly likely given the current abuses of authority already taken place and breaches of human rights of autistic women and their children. Is the level of avoidance linked to unmet diagnostic needs, as well as trauma experienced by the child because of the harm caused by ineffective, coercive interventions, and punitive measures undertaken to make the child conform and behave to societal norms. What is the potential harm that could be triggered by some of the proposed arguments against the PDA construct. In reality the discussions surrounding the PDA construct/profile is important to me not only because my son has a PDA diagnosis but because I am aware how much misunderstanding, confusion, and stress families are consistently placed under on a daily basis by professionals and local communities. I am also aware of the topics often not discussed which are concerning but recognised aspects of the PDA profile such as the use of role play/Imaginary worlds to cope with anxiety and the risks associated with this. The variability to which a child will avoid any demands; the ability to use complex rationale to avoid any perceived demands; the distress triggered; the behavioural responses to said anxiety, stress associated with said demands; the amount of energy a child or adult expends to avoid a perceived demand is so much more than the effort it would take to carry out the request. The constant walking on egg shells. The need for flexible boundaries and how this is perceived and criticised by professionals and public. The many stories surrounding school refusal; the lengths gone to avoid attending school; the mental heath issues; the variability to which SEN/VCB takes place. The many experiences relating to how diagnostic pathways are blocked with illegal blanket polices; unmet diagnostic needs; trauma within education provisions also within local communities; the increased risk of family breakdowns; In part due to lack of awareness, understanding, training and expertise specific to PDA. On reflection I cannot whole heartedly agree or disagree with the proposed arguments being put forward as I can see the elements of truth in what is being proposed. Equally, However I am concerned of the potential risks that could take place such as possibility for the toxic womb scenario, or misdiagnosis of personality disorders amongst others, or the continuing redirecting of blame at parents which I am aware the researchers also do not wholly agree with or deem beneficial to anyone. What I do recognise is to help children who fit this profile we all need to come together in the best interests of the children of today, who are being systematically failed as thier diagnostic needs are not supported by collectively improving Autism theory, research and practise surrounding the PDA profile, to ensure the children of tomorrow are not failed. To be willing to hear uncomfortable proposals , be willing to explore these together, listen to lived experiences . Not simply dismiss them as irrelevant or inaccurate but identify patterns of similarity in those experiences. Listen to children experiences with an open mind as we can learn much form thier simplified views of thier world and thier experiences, it may give us further insight into the PDA profile. Some of what is being proposed may at first be abhorrent to us but unfortunately without exploring these uncomfortable theories and suggested evidence they cannot be ruled in or out, we cannot improve the outcome for our children or those in the future unless we work together to improve and fine tune the theories surrounding autism, its presentation and the individuals experiences. Working together to improve autism theory will ultimately improve the interventions put in place to support children, young adults and adults. Acknowledged and accepted is the view poor autism theory leads to poor interventions that have the potential to harm. No one wants this we all want what’s best for our children, and their children and to learn from past mistakes to improve quality of assessment processes, support and interventions to minimise risk to all involved. Currently it would appear we are at loggerheads those for and against the PDA construct. The question is how do we move forward work together amicably, improve communications, remove any cognitive biases, without minimising, invalidating the experiences, symptomology, diagnostic needs of the many children adults diagnosed formally with PDA. How do we all work together to address the concepts being raised to establish their relevance and accuracy to said discussions. My concern as a parent is the longer these debates continue without resolution the more manoeuvrability is afforded to the NHS, local authorities and educational provisions to redirect blame, minimise, dismiss diagnostic needs, with increased risk of family breakdown, or increased mental health needs . Also the increased risk of abuse of vulnerable families due to the lack of clarity surrounding the PDA profile when seeking support for their children. I personally would like to see positive collaboration between parents, researchers, PDA diagnosticians. I would like to note an increased willingness to take on board childrens lived experiences. A reduction in contentious proposals surrounding the PDA profile as there is a risk of harm if the theorised proposals ore not clarified to the enth degree. As a parent I may not fully grasp the rationale or theories being presented however what I do recognise is their potential for adding clarity, as well as potential for risk. I see the elements pf truth but also discrepancies. Though admittedly my biggest question is how will any of this research benefit my son or any child with this diagnostic profile. Is it not about identifying, supporting those needs which as proposed could benefit the child to minimise risk of trauma, such as is proposed in the school environment. As a parent all I want is for increased awareness, understanding and acceptance of my child’s diagnostic needs. As an autistic adult all I want is that children never have to walk the paths I have done or experience what I have. Let us all explore opportunities to work together to improve autism theory, research and practise surrounding PDA to ensure better outcomes for children fitting this diagnostic profile such as those proposed above even if it triggers uncomfortable feelings, thoughts and perceptions as ultimately all that matters is that children get the right support and harm befalls none. Thank you Georgina, another thoughtful well written article. On Tuesday 8th January 2019, the PDA Society hosted a research meeting to share current findings, thinking and insights around the ‘PDA profile’ of autism by academic researchers and other stakeholders. The aim was to share existing research work, build greater common understanding, identify research priorities and focus on what can be done to help. 31 participants came from across the UK and Ireland and all found the meeting to be worthwhile and positive. This area of research is in its infancy, with a range of perspectives currently evident, so it’s essential that more high quality research is undertaken in order to increase our understanding of autism as a whole, and demand avoidance specifically, and reduce the possibility of autistic individuals being disadvantaged or discriminated against. One area of strong agreement was that autism generally is not well understood or supported by services. The PDA Society took away from the meeting the importance of developing a cohesive and inclusive argument for change. Dame Uta Frith chaired the event and finished by acknowledging that many of us felt some confusion about the mixed conclusions of research to date, but that confusion is an important part of the process and a step on the path towards understanding! The PDA Society will be continuing to encourage collaboration by hosting a ‘research hub’ to keep the community in touch with developments.